Whether it's optional coverages or different insurance companies, there are many ways to put together your Home Insurance, Auto Insurance or Business Insurance. Our experienced agents and underwriters will take the time to be sure you know all of your options and do what is right for you. We've been serving our clients since 1919. We offer free home insurance quotes for Miami and other Florida communities. Call us to see how we can reduce your premium and improve your coverage. Call us for a free car insurance quote today and experience the highest level of personal service from our professional, licensed staff. We've been providing comprehensive business insurance to the Miami area for over 98 years. Our goal is to reduce your insurance costs by reducing your claims. Our third generation independent agency has provided the residents and businesses of Miami and South Florida with comprehensive and competitively priced insurance since 1919. Call us today to get a cost saving quotation from multiple insurance companies on your home insurance, auto insurance or business insurance. We believe our agents and underwriters are the best in the business! 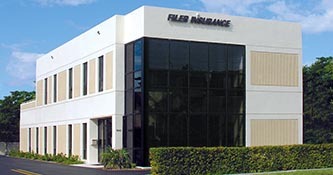 Filer Insurance has been serving the residents of Miami, Coral Gables, Kendall, Pinecrest, Palmetto Bay, Cutler Bay and Homestead for over 98 years. Whether it’s your home insurance, auto insurance or business insurance, we feel you deserve the best possible professional and personal service. Let us show you how we can save you money on your insurance. We'll shop a wide range of companies for the best rate. We’ll make sure you get every possible discount. We’ll help you understand the coverage you are buying. We’ll be here to help you with your claims.